We should be very much aware to keep our body healthy because this is the place where we are living. What is exactly meant by healthy eating? It can be defined as the eating different things in a proper manner that will provide your body all the required nutrients. So, here we are listing Top 10 Healthy Foods in the world. Almond is one of the most Healthy Foods in the world. It has many health benefits that any other nuts that exist in the world. Almonds are very rich in proteins and minerals. The fatty acids present in Almond helps to regulate sugar level, blood pressure and also help to boost immune system. They are very much famous for increasing your brain activities because it contains riboflavin and L-carnitine. Almond has very high phosphorous content that helps to make your bones and teeth strong. Also the Vitamin E present in the nuts helps to decrease the risk of heart diseases. The Juicy apples are considered to be one of the healthiest foods in the world. The fruit has been rich in dietary fiber, phytonutrients, thiamin, riboflavin and vitamin B-6. There are many benefits of Apple like it can protect against the Parkinson’s diseases because of the high viber content. If you are drinking apple juice regularly it will keep your brain young and active because it contains high level of acetylcholine. Apple has antioxidant properties that will improve your immune system, prevent cataracts and lower your risk of asthma. The Avocado is cultivated in very large quantity in many countries like Mexico, Chile, Dominican Republic and United States. The fruit is very rich in essential minerals and vitamins. It contains Vitamin A, D, C, B-6, B-12, Magnesium, Calcium and Iron. There are many benefits of avocado like it will risk of obesity, diabetes and cardiovascular diseases because of dietary fibre content. The fruit has a high level of monounsaturated fats hat can regulate the sugar level in your body. They are also a source of antioxidants namely carotenoid lutein that helps to reduce eye problems like macular degeneration and cataracts. 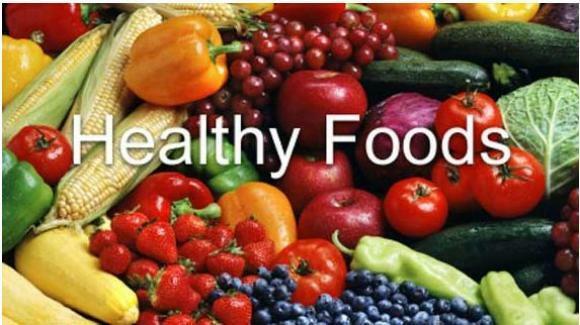 It is also one of the Healthy Foods in the world. They are oldest known tree food in the world dated back in 10000 B.C. The nuts are cultivated in U.S, France, Romania and China. The nuts are known for their many medical properties. Walnuts has chemicals like melatonin, carotenoids and ellagic acid that will reduce inflammation, aging and neurological diseases. It has many essentials minerals like manganese, copper, iron, magnesium, zinc and selenium. These minerals help in regulating your digestion. Salmon are the good source of vitamins, minerals and proteins. Salmons have two important fatty acids namely EPA and DHA. These fatty acids will prevent against cardiovascular disease, brain diseases, reduce inflammation and blood clots. The fruit is also very helpful to improve your mood and cognition. Garlic is acting as natural medicines since ages. It is also used as a ingredient that is used as a flavour for food. They are very rich in nutrient and very low in calories. They are capable of fighting against many diseases. The daily intake of garlic helps in preventing colon cancer. They are also helps in reducing harmful LDL cholesterol. They are also very helpful in reducing sugar and insulin. Spinach is a rich source of Vitamin A, C, K, B2, iron, calcium, potassium and magnesium. According to science the consumption of Spinach is good for your skin, bone and hair. The high fibre content is very good for digestive system. If you are taking spinach on the daily basis it will be increase your muscle efficiency. The Sweet Potato is very easily available and is good source of Vitamin A, Vitamin D, Vitamin B-6, potassium and calcium. There is no fat content in the sweet potato so they are very good for your health. The antioxidant compounds in sweet potato will protect you against cancer and will be very good for your eyes. The Vitamin A and Vitamin E present in the sweet potato will boost your immune system. The Banana is the fruit available all year around and has numerous health benefits. The banana is helpful in relieving morning sickness, reduce tension, cure diabetes and improve heart health. Banana are fat free and have many types of vitamins like manganese, vitamin C, potassium, dietary fibre, iron, vitamin A and protein. If you are taking Dark Chocolate in a moderate amount there are numerous health benefits. Dark Chocolate is rich in Iron, Magnesium, Fibre and Copper. It is rich in calories so if you are taking in large quantity it can lead to weight gain.